Gold has been used by mankind in different forms for over 5,500 years. In modern times, gold is typically used for electronics and other high-technology applications. The basic structure of a gold atom consist of protons, electrons and neutrons. The number of protons and electrons in an atom is known as its atomic formula and can be found on the Periodic Table of the Elements. Making a model of a gold atom is relatively easy and uses commonly available materials. Locate the atomic number of the gold atom from the periodic table of elements. Gold is number 79 on the Periodic Table and uses the symbol "Au." The atomic number equals the number of protons and and equal number of electrons, the gold atom has 79 protons and 79 electrons. Draw a circle to represent the atom’s nucleus at the center of the whiteboard. Use a red marker to draw the number "79" at the top of the circle, and label it "P" to represent the number of protons. Use a green marker to draw the number "118" at the bottom of the circle, and label it "N" to represent the number of neutrons. Draw six concentric circles with a pencil spaced evenly out from the center circle. These circles symbolize the energy fields in which electrons reside. Draw two small circles on the first concentric circle, eight in the second, 18 in the third, 32 in the fourth, 18 in the fifth and one in the sixth. Draw a negative (-) sign inside each of the smaller circles to represent a negatively charged electron. 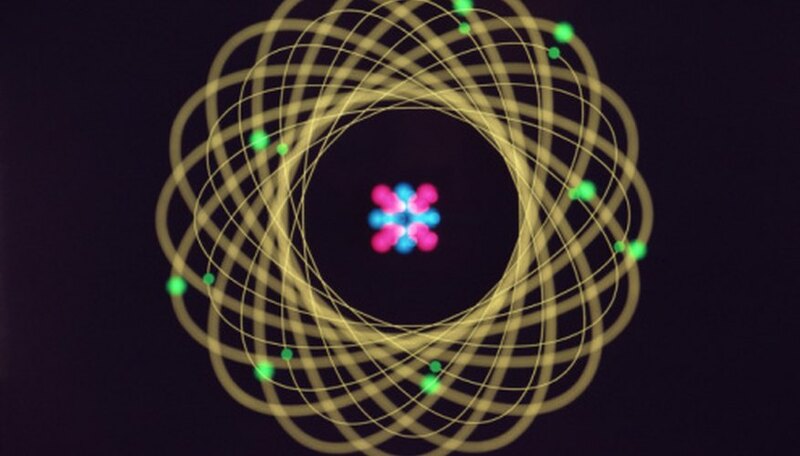 The circles, representing the electrons, can be spaced in any manner around the concentric circles since electrons do not have a specific location within the atom at any given time. An evenly spaced electron field gives the best visual balance to the model. Color the electrons with a blue marker. The model may be colored differently if you wish. Draw a legend of the colors at the bottom of the board to distinguish each part. 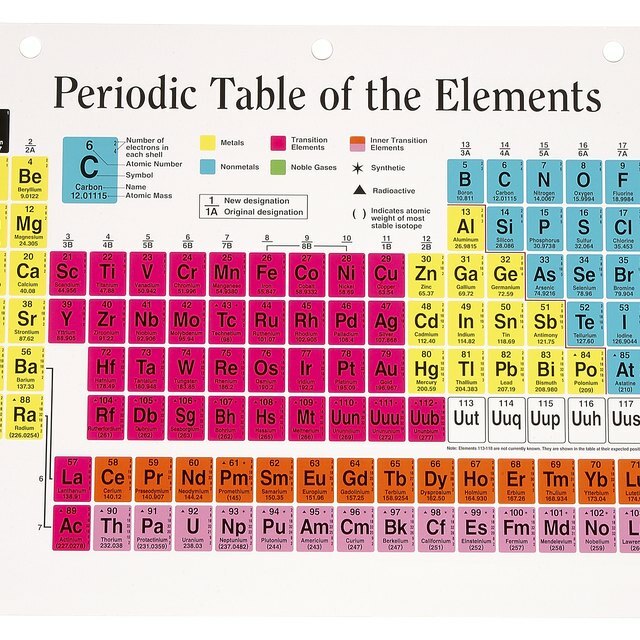 Add the atomic information from the periodic table to the top of the board. Schaefer, Michelle. "How to Make a Gold Atom Model." Sciencing, https://sciencing.com/make-gold-atom-model-8631200.html. 24 April 2017.